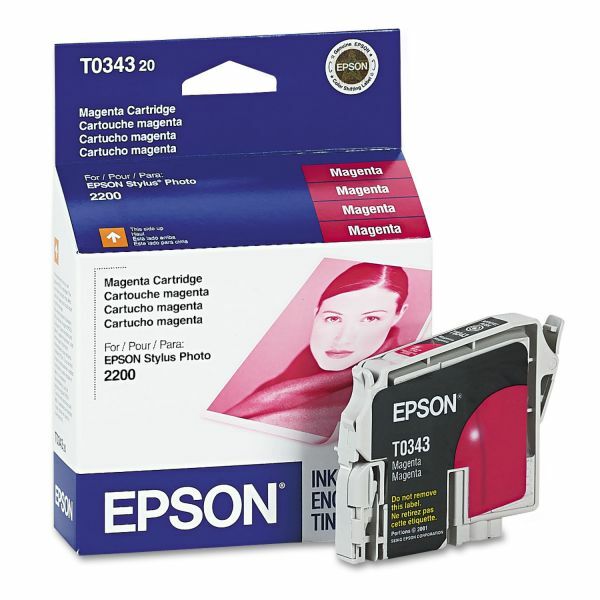 Cartridge yields approximately 440 pages. 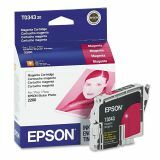 Epson T034320 (34) Ink, 440 Page-Yield, Magenta - Replacement ink cartridge is designed for the Epson Stylus Photo 2200. UltraChrome pigment inks provide superior resistance to water, fading and smudging. The wide color gamut allows truer, more realistic pictures.